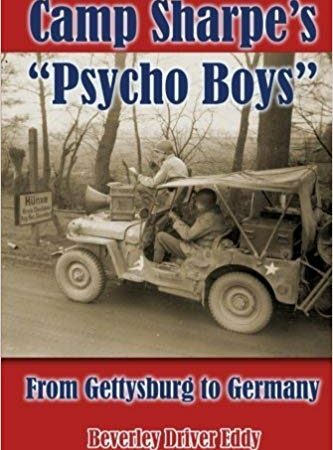 William H. Tipton was the most prolific photographer of the Gettysburg battlefield in the decades following the Civil War and into the early 20th century. The Gettysburg native (born in 1850) began his photographic career as an apprentice for three years to Charles and Isaac Tyson. By 1868, still a teenager, Tipton bought most of the assets from the Tyson brothers and established his own business. Over time, he reorganized, took on new partners, and then finally ran his own independent firm, W. H. Tipton & Co. His work was so popular that he purchased part of the old Gettysburg battlefield from private landowners. He then erected a studio near Devil’s Den in what was deemed “Tipton Park.” Tipton took more than 100,000 known photographs, of which 5,000 or so depict the battlefield and battlefield visitors. Many of those images are today in the collection of the Gettysburg National Military Park. 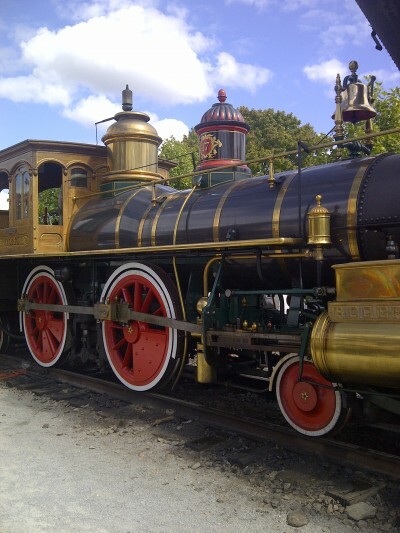 In 1884, Tipton invested in the new Gettysburg Electric Railway, which had a regular stop at his studio. When Congress created Gettysburg National Military Park in 1895, the government acquired land via purchase or eminent domain, including Tipton Park. 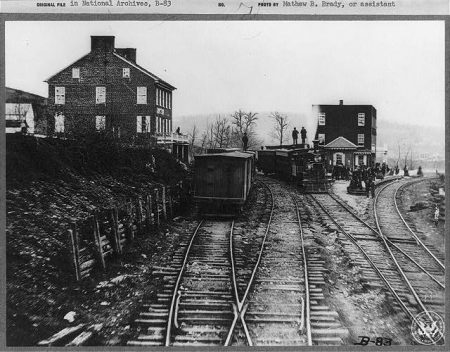 The Gettysburg Electric Railway and its conjoining Gettysburg & Harrisburg Railroad spur, which transported visitors to the southern part of the battlefield, continued operations for several years before closing. 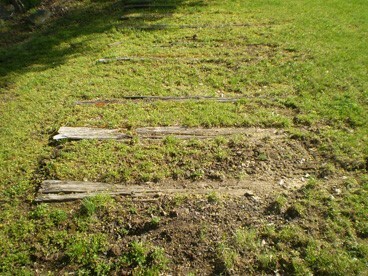 Discerning visitors can still find vestiges of the old railway in several places on the battlefield. Many Civil War veterans rued its creation. 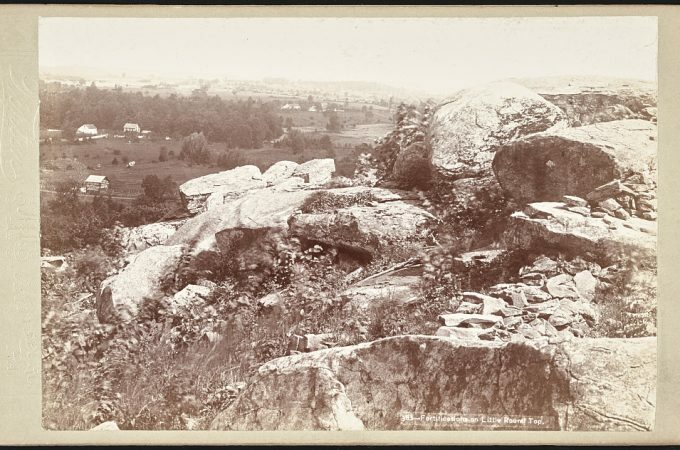 They cited disruption and significant changes to the landscape, including blasting rocks in Devil’s Den and building embankments for the tracks in uneven places. 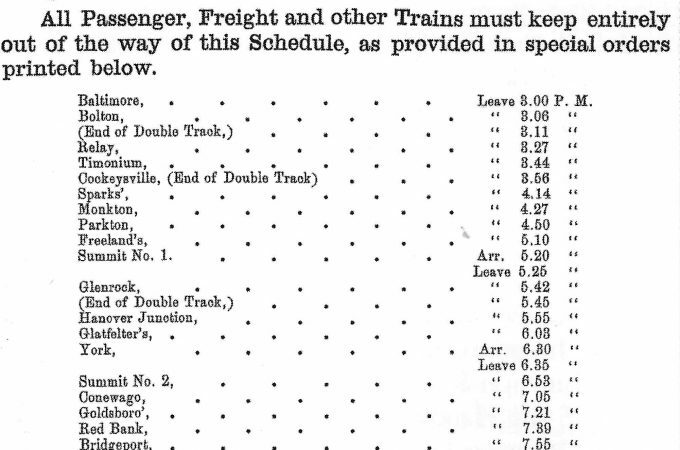 The rails and most of the tracks were removed by 1939. 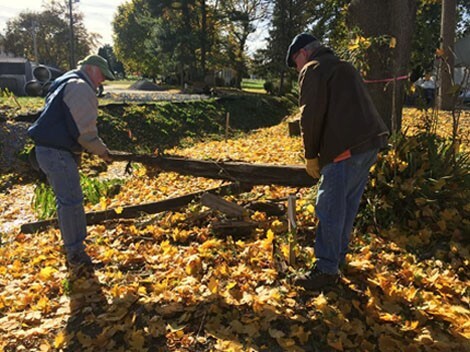 Recently, a team of volunteers removed and preserved some of the last remnants of the old railroad and trolley line. Here is the story of that recovery effort. 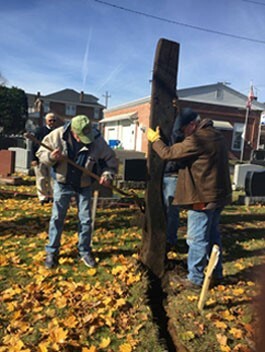 He added, “In 2017, Healthy Adams Bicycle/Pedestrian, Inc. (HABPI) had begun the construction of a bicycle/walking path in that area and by late October were in the process of removing the remaining railroad ties. Fortunately, they allowed us to quickly organize a small group of volunteers who on November 11 were able to salvage three of the best ties and transport them to the Gettysburg Heritage Center located at 297 Steinwehr Avenue for inclusion in a future display regarding the Gettysburg and Harrisburg Railroad.” The team included Randy Drais, Alan Leeti, Alan and Louise Mains, Keith and Sheila McGill, and Tom Miller. Mr. Drais submitted the following photos. In addition to the three intact ties that are at the Gettysburg Heritage Center, Randy brought a box of small pieces of broken ties to the York Civil War Round Table’s January meeting for distribution to interested persons. He has given me a certificate of authenticity, which can be downloaded through this link for people who picked up chunks of the old ties. 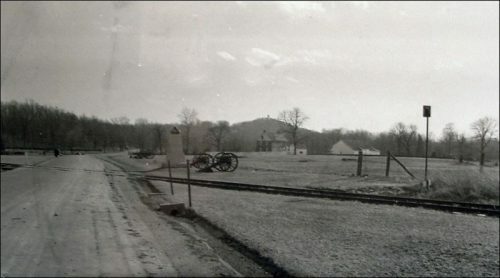 Randy also supplied this Tipton photo showing a section of the old railroad spur along the Emmitsburg Road. To read more of Randy’s report, click this link. Randy still has a few pieces of the old cross ties left. If you would like to contact him regarding obtaining one, while supplies last, please send me an email and I will connect you. Several of the Gettysburg Licensed Battlefield Guides are quite knowledgeable about the old railroad spur and the trolley line and can lead customized tours for the public for a nominal fee. These tours include walking the route of the old trolley. I have taken a couple of them over the years and can heartily recommend the LBGs. Why not book a battlefield tour for your family or friends?